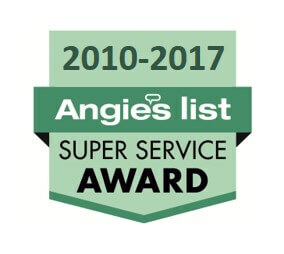 ACME Services Peoria to the 101 loop at our standard service rates during standard service hours. We also go as far west and north to the 303 for a small extended service charge. 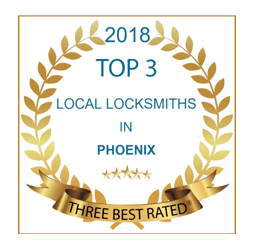 To save the most money, bring your lock and key needs into either our Phoenix or Scottsdale locations and avoid the service charge all together. Locks not working? Want to upgrade to electronic locks (enter your home with a FOB or pin code – never give out house keys)? Want to improve your locks and upgrade to bump or pick resistant locks? ACME Locksmith takes care of all your home’s lock and security needs. Do you give your employees keys? Stop! Upgrade to access control (electronic locks with pin code or FOB access). Worried about someone breaking in? Upgrade to high security locks. Down to one car key? No one ever thinks they’ll lose that last key, but I can tell you, it happens all the time. Get a copy of car keys, remotes or FOB now and save hundreds later. ACME Locksmith sells, services, moves, and installs safes. Whether you buy your safe from us or buy it someplace us, we can help you move it into your home and bolt it down to keep it secure. Shop for home safes, business safes, and American made gun safes online. Bobby was unbelievable. I had just taken possession of a house and had to have 9 locks re-keyed, garage doors reset and new remotes for the garages. I called at 2:00 p.m. He got there in 30 minutes. He finished the job on 45 minutes. Everything was perfect. I tested every lock and every remote. Courteous and tremendously professional. Steve was great and took good care of me. I had lost my Key Fob for my Toyota 4Runner which left me with manually locking and unlocking my car. Steve order two new ones, they were in 2 days later. He cut and programed them and I was good to go. All for less than half of what the dealership wanted. Highly recommend this locksmith. Steven not only greeted me with a friendly smile and demeanor, but he also went above and beyond with preparing my laser cut keys. He also made sure to inform me on how to properly test the keys, and that if there was any problems to bring them back so that he can fix them. I was also able to witness him greet customers waiting in line assuring them he'd be with them soon, while still taking care of my order. Very warm and friendly experience and I highly recommended this location. Great shop, great customer service!!!! Not only did he do a great job re-keying my lock - but gave me the most valuable advice of the day which was how to put the lock back together which before I had spent over and hour on one lock then went back after his advice and nailed it first try! Thank you!!! Great service. Mike was really nice even tho he was on call and had just finished his normal shift. My Lexus is one hard car to get into if you lock your keys in it. The locks will re-lock themselves within a second of being unlocked. So you have to be dan good to get this car open. Other companies that have done this have taken upwards of a hour to get my car unlocked. Not Mike! He got my car open in less than 5 mins. Can not say enough thank you to Mike and acme for what they do. Top notch A++++ company. Thank you Mike. Mike was great. He was able to do what we wanted quickly and efficiently. He even showed me how the different locking mechanisms work. 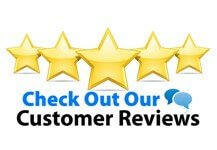 Great experience and will definitely choose them again for any future needs. Got locked out of my house with a broken garage door spring. Called Acme and within 45 minutes Mike, our tech, had us back inside and no enormous emergency service bill. He was prompt, professional, and so understanding. I cannot be happier with the quality of service we received from Mike and ACME Locksmith. Thank you. In desperate need of a lock change on the entire house. We had "BiG Mike" out the very next afternoon. So polite and professional. Whole job done in less than an hour for half the price we expected. So delighted with the experience. Call them you will be glad you did. I have used ACME multiple times for personal an business. Big Mike has done a great job every time. Very knowledgeable, professional and efficient. Great job! They showed up within a few hours of calling and had the lock working in no time. Love our multilocks.